Roll over thumbnails to see a a larger image. 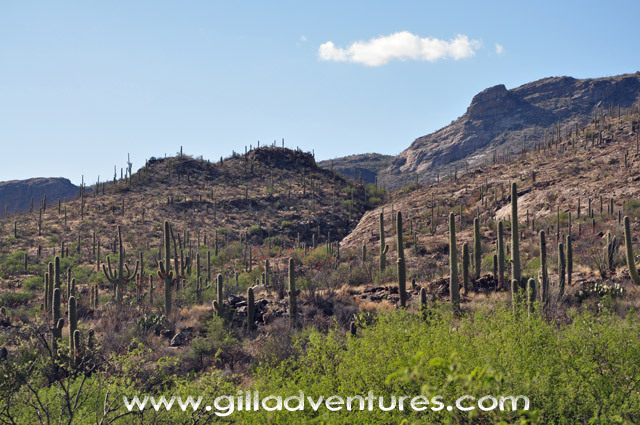 Hope camp trail is in a large, open basin in Saguaro National Park East. These images were taken in spring, when the ocotillo was in full bloom and the prickly pear was almost ready to explode with yellow blossoms. Photos in this gallery were taken with a Nikon D90, and are available in high resolution.